The mightiest Bakugan yet! Bigger and stronger, these monsters come to life with a swipe of the Mechtogan Activator Card. Swipe it again to reveal their special weapons! The Mechtogan Titan is a larger version of the Mechtogan. Aside from their size, the Mechtogan Titan also differs from the Mechtogan because it has more detail to it and has more complex transformation points. It also has its own Activator card. 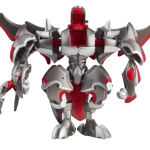 February-March 2011: There were two Mechtogan Titans introduced as part of the first wave of Mechtanium Surge Bakugan. 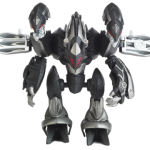 May-June 2011: Two more Mechtogan Titans are introduced as the second wave of Mechtanium Surge Bakugan comes out. When in play, the Mechtogan Titans are considered as support devices like the Trap and Mobile Assault. 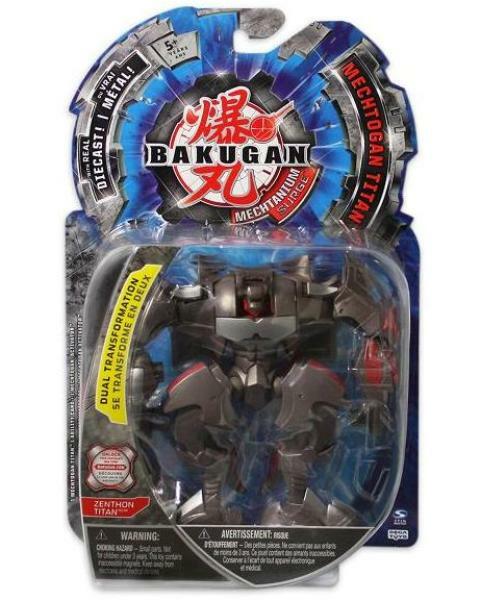 It is not considered like a regular Bakugan. The general rule is that you can only have up to two support pieces, in any combination. Therefore you will have to pick only two among your Mechtogan, Mechtogan Titans, Battle Gears, Traps, and Mobile Assaults. For example, you can have 2 Mechtogan as your support pieces for the game, or 1 Mechtogan and 1 Mechtogan Titan, or 1 Mechtogan Titan and 1 Battle Gear, and so on. 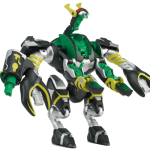 You can play the Mechtogan Titan with any Bakugan from all the series of Bakugan, ranging from season 1 up to the newest series of Mechtanium Surge. Put the Mechtogan Titan into play by placing the Mechtogan Titan (from your unused pile) next to your standing Bakugan. The Bakugan and the Mechtogan Titan you are using should have the same Attribute. Transform the Mechtogan Titan into its full form with the Activator card to reveal its G-power. Add the G-power to your Bakugan's G-power. If that boost is not enough, then you can attach BakuNano to increase your G-power. You will only be able to use 1 Mechtogan Titan in a battle, on one Gate card. This is a new rule brought about by the Mechtanium Surge season. You may only use 1 support piece on one Gate card, whether that support piece is a Mechtogan, a Mechtogan Titan, Mobile Assualt, Trap, or Battle Gear. 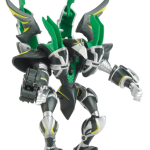 hey spinmaster how long does the set q bakugan going to be out in stores and how many more episodes of mechtanium surge is there?